Dessert wines, sometimes called pudding wines and ‘stickies’ by wine afficionados, are sweet wines typically served with the dessert course at the end of a meal. The category is fairly loosely defined – in the UK, a dessert wine is considered to be any sweet wine drunk with a meal, as opposed to the white fortified wines (fino and amontillado sherry) usually drunk before the meal, and the red fortified wines (port and madeira) drunk after dinner. In the United States, by contrast, a dessert wine is legally defined as any wine over 14% alcohol by volume, which includes all fortified wines. Thus, most fortified wines are regarded as distinct from dessert wines, but some of the less strong fortified white wines, such as Pedro Ximénez sherry and the French Muscat de Beaumes-de-Venise, are regarded as honorary dessert wines. Most dessert wines are made either by Noble Rot – a grey fungus, Botrytis cinerea, that proliferates in moist conditions that concentrates the juices in the grapes. If the weather stays wet, it develops into “grey rot,” can destroy crops. Grapes typically become infected with Botrytis when they are ripe. If they are then exposed to drier conditions and become partially raisined which is a good thing when picked at a certain point during infestation can produce particularly fine and concentrated sweet wine. The most famous wine of this method is the French Sauterne. The other method is the “Ice Wine” method, where the grapes freeze on the vine to concentrate the juices. Canadian Icewine regulation decree the grapes can only be picked only when the temperature reaches -8C. The German version is called Eiswein. Another category of after dinner drinks is the Fortified wines – Sherry from Spain and Ports from Portugal. Sherry is made from white grapes grown near the town of Jerez in Andalusia, Spain mainly from the Palomino grape, After fermentation is complete, the base wines are fortified with grape spirit in order to increase their final alcohol content. Port, made in the Douro Valley, made from indigenous grapes and are very long aging. Other countries have their fair share of dessert wines – Vin Santo and a sparkling version called Moscato d’Asti from Italy, Tokaji from Hungary, amongst many other types. Please join us on Thursday, February 13th, as we sample all kinds of sweet dessert wines. We’ll talk about their wine-making process and styles and grapes, and specific food pairings. It is a night for those with a sweet tooth. Bring your Valentine with you! You can register for the Fortifies & Stickies tasting here.. The history of wine in South Africa dates back to supply stations set up on the Cape of Good Hope by the Dutch East India Company. 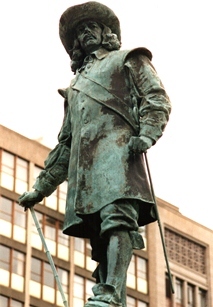 In 1659 Cape Town’s founder Jan van Riebeeck, a Dutch surgeon, produced South Africa’s first wine. His vineyards were planted for producing grapes and wines as to fight sailor’s scurvy over long spice route voyages. The viticulture industry experienced numerous fluctuations over the next three centuries. Colonial Governors ran the gamut from excellent to abhorrent during the age of imperialism. The Constantia wine estate became world renowned in the late 18th century as a favourite of European Kings and Emperors, only to fall into disrepair during the 1860s. A wine lake of overproduction in the early 1900s caused producers to pour excess stock into local rivers and streams. After declaring independence in 1961, South Africa’s wine continued to receive meagre attention internationally, a fact intensified by Apartheid-era boycotts against South African goods. When Apartheid at last ended in the late 1980s and early 1990s, South Africa’s nationwide KWV wine co-operative was replaced and reorganised into the private business wards recognised today. Well known varietals such as Shiraz, Cabernet, and Chardonnay were introduced to the country at internationally competitive prices. As part of a switch to emphasize quality of production, the Vine Improvement Programme was established to integrate new techniques and technologies with an international approach to viticulture and winemaking. 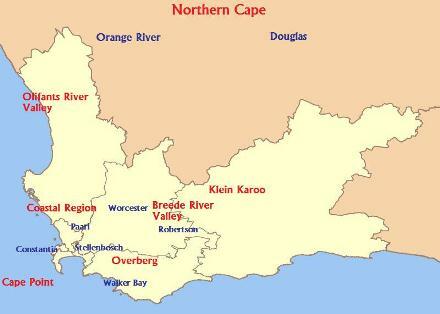 The majority of production occurs around Cape Town in the West, with notable hotbeds at Stellenbosch, Paarl, and Swartland, among 60 recognized wards (roughly the equivalent of French appellations) spread over the South African Cape. Over the past decade, South African producers have earned a new international burst of popularity for their approachable, opulent and yet affordable wines in several varietals. Over 70% of all grapes harvested in South Africa today make it to the open market as wine, up from only 30% two decades ago. As of 2012, South Africa plants the 17th most acreage of wine in the world at just over 100,000 hectares, and produces just less than one million tonnes of wine annually, 8th worldwide. The increasing presence of foreign winemakers entering South Africa, called flying winemakers, accelerated and enhanced South Africa’s wine quality and growth on the international market. While traditionally South African reds held a reputation for coarseness, modern vintners take advantage of controlled yields to ensure proper ripeness and create softer, fresher wines in conjunction with oak fermentation, and increased temperature control. Red grapes have become much more commonly planted as a result. Almost half of all South African grapes grown are now red, as opposed to less than 20% in the 1990s. Cabernet Sauvignon, Shiraz, Merlot and the trademark Pinotage make up the most popular red varietal (or cultivar). As for white wines, Chenin Blanc remains the most widely produced wine in the country, at just less than 20 percent. Other popularly produced white cultivars are Sauvignon Blanc and Chardonnay. deVine wines will soon be celebrating the growth in value and quality of South African wines on Saturday, February 1st with our South African Safari tasting. You can register for the tasting here..